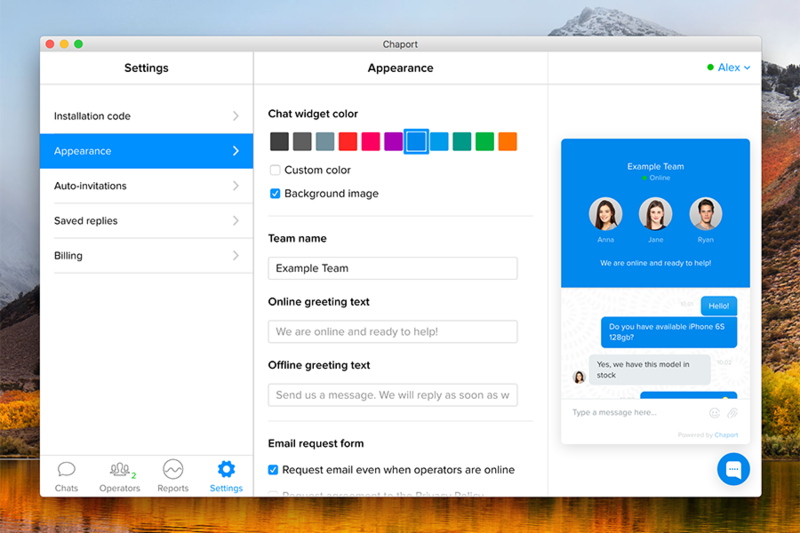 Modern live chat service with auto-invitations, offline messaging, employee-to-employee transferring, and group chat capabilities. Chaport is designed as a modern messenger to make communication with customers as easy and enjoyable. It has desktop apps for Mac, Windows, Web, and full-featured mobile apps. 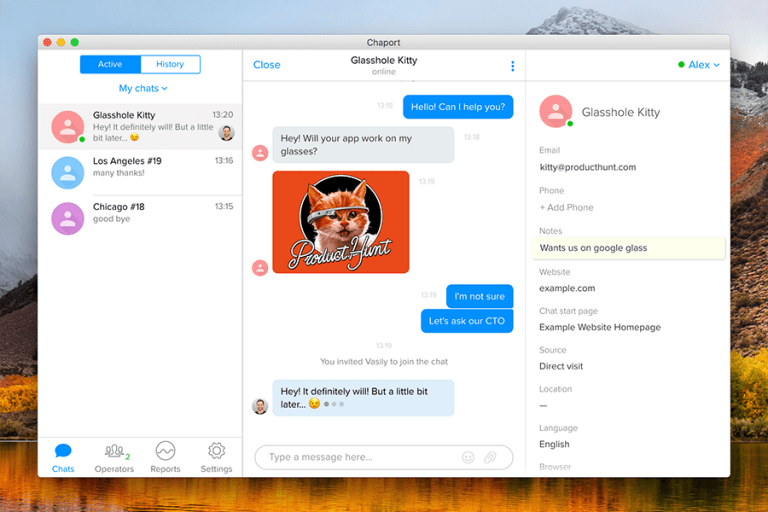 Customize the chat widget appearance.